The Cardinal Chorale was wonderful last night. I’ve attended many of their performances and each seems better than the last. Tears and goose-bumps were certainly plentiful. I wanted to let you know that Rebecca and I really enjoyed the concert last night. You could feel the bonds and connection that you have formed with each of those kids. I especially enjoyed the last set of songs. I think that was the strongest singing I have ever heard from that group, and I have been going to that concert at least since 2010! Thank you for the wonderful surprise during the final concert in Roscoe last Thursday night. The concert was one of the best and I hope you felt all the hard work paid big dividends. The members of the Cardinal Chorale have been important people in my life over the years and I count past and present members among my most treasured friends. Your music is always beautiful and uplifting; it makes the day brighter as the first sounds of each concert begin. My only regret is the concert ends too soon and leaves me waiting for the next one. I could listen to your glorious sounds every day – thank goodness there are CDs! I appreciate each of you. Your concert this morning was a lovely experience to witness. You conducted a band of angels. Elaine and I had a WONDERFUL time hearing your kids sing, watching your expertise and talking with you and some of your EXCELLENT singers. What you did with those elderly people was a gift of love the like of which I’ve never seen in a concert situation. FANTASTIC! Thank you for allowing me to be a part of your Cardinal Chorale’s Tour again this year! I heard nothing but raving reviews and compliments on you and your singers! I also enjoyed being a part of the reflecting circle in the basement of the church! Thank you for inviting me and allowing me to be a part of that! You are amazing and do a wonderful job with all ages of people! I loved the concert last night. It was fantastic as usual! You and your Choir are such a joy, I really hope to have to opportunity to host again sometime and the next time I will be prepared!! Thank you again for an amazing evening. It was absolutely wonderful to get to worship with the Cardinal Chorale. What a fantastic group! Thank you, Cardinal Chorale staff and singers for all your help and songs of grace. Thank you for a wonderful experience for all in the Dover area. 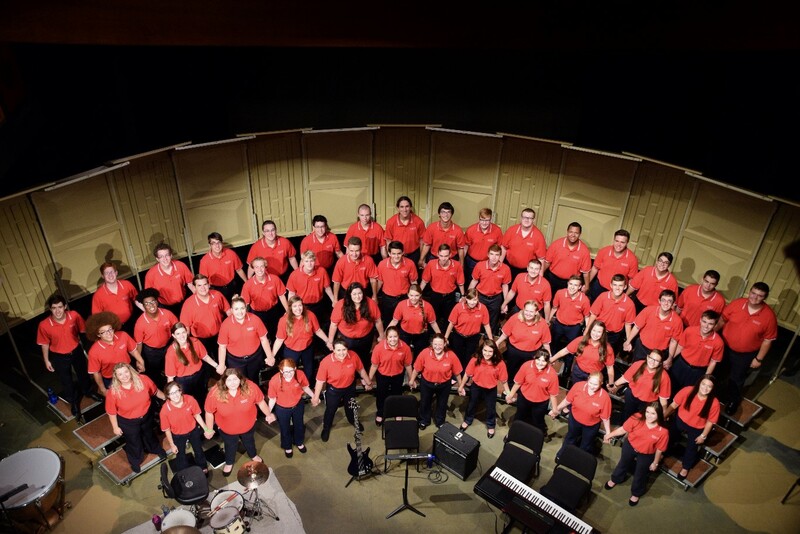 The Cardinal Chorale rose up from last year’s “bump” and soars forward in new ways. God bless you this summer. Very beautiful music! Really enjoyed it. A very talented group of singers! Congrats on a job well done, Ryan and the Cardinal Chorale! The finale concert was wonderful!